The U.S. Congress is presently in its annual August recess. Before it recessed, the House Appropriations Committee passed an amendment that would dramatically curtail legal U.S. Cuba travel basically eliminating the People to People category of travel. The effort is led by pro embargo hardliner Rep. Mario Diaz-Balart (R-Fl). Much to the chagrin of the pro travel side of the U.S. Cuba policy debate, the current political calculus actually favors that this restrictive bill will pass the Congress and head for another showdown with the White House in the fall. The GOP led House will likely pass the measure and send it to the U.S. Senate. In a bipartisan fashion, Senators Marco Rubio (R-Fl) and Bob Menendez (D-NJ), the Chairman of the Senate Foreign Relations Committee, will ensure its passage there. Politically, who is going to expend any political capital preserving people to people travel to Cuba? 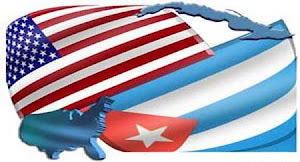 That is the part that escapes the Cuba travel/end the embargo side of the issue; the lack of commitment and the failure to be proactive and develop real political capital; the votes and money to defeat the likes of the hardliners in Congress and at the ballot box. The only political capital is on the pro-embargo/restrictions side of the issue. And that's the problem. For as the sun rises every day, you can bet that Rep. Mario Diaz-Balart (R-Fl) will do whatever is in his power to frustrate or interrupt any effort that normalizes U.S. relations or travel with Cuba. This is the annual hardline gauntlet you can expect to be thrown in each Congress. For Mario, this is a personal crusade and a score to settle with his Castro family relatives in Cuba. His Uncle Fidel removed Mario’s father, the late Rafael Diaz Balart, from power in the Batista dictatorship. So this is not just about democracy and freeing Cuba for the veteran Congressman. However, revenge is always a bad context for foreign policy and diplomacy. Ever wonder why the embargo and travel restrictions still have achieved nothing other than hurt the United States and Cuba alike? The question to keep asking Mr. Diaz Balart is just how an embargo and travel restrictions will ever bring positive change to Cuba? So what to do about Congressman Diaz Balart? Well he is in a politically safe congressional district. Re-elected with just over 67 percent of the vote in 2012, the Congressman can safely continue to take his hardline position without any perceived electoral reprisal, which is the only thing he will ever pay attention to. One glimmer of hope lies in a group called Cuban Americans for Engagement or CAFÉ. This group of moderate Cuban Americans has organized to support lifting all the travel restrictions and normalization of relations. The challenge however is how to support this important group to be more politically active beyond its public statements. Lifting the travel restrictions and ending the embargo each will require an Act of Congress. President Obama is not likely going to expand Cuba travel licensing beyond what has already been done. What is the political gain for him and supporters in Congress? As long as there is a political void on the pro travel/engagement side of the US Cuba Policy equation, guess which side will keep winning? When posed with the question what can be done politically about a pro-embargo hardliner, the answer can be found by following the rules of Politics 101. Target the politician for electoral defeat and make it happen by raising money for the opponent and registering enough new voters to place the incumbent’s plurality of victory into question for the next election. The other part to this strategy is to start taking credit for electing people to Congress. Show that your bloc of votes matter and your money is being sent to support and elect committed allies in Congress. This is where this nascent Cuban American moderate majority must head towards if they are going to be effective and there is ever going to be a change in U.S. policy with Cuba led by them. When this happens, watch how quickly things will change in Congress. Congress returns to session in September. People to people travel may very well become another pumpkin this fall. The U.S. Senate has a version of the appropriations bill that does not contain Mario's offensive anti-travel language. However, this does not change the political prognosis. The fact that there are differing bills in the House and Senate only means that there will be a House Senate Conference. While Senators Rubio and Menendez are not conferees, that does not mean they will not weigh in to remove the Senate language and keep the House language. As a member, Mario Diaz-Balart is likely to be a House conferee. They will fall on their swords to keep the offensive language. Who is going to fall on their political swords to remove it? Then there is the issue of money and the lesson that the U.S. Cuba “Democracy” PAC provides. They have contributed to other members of the Appropriations Committee over the years. So again my prognosis as to which version survives, the House or the Senate, the calculus still favors the House anti travel language. Some have argued that the White House will insist that Mario’s language be removed from the Conference Report. Respectfully, I do not believe President Obama will use his veto authority to get rid of a provision that adversely affects Cuba travel. Count on pro-embargo DNC Chairwoman Debbie Wasserman Schultz, (and Diaz Balart buddy) to ride over this issue at the White House and weigh in on the President. Again, the pro-travel side has no political capital to put up due to their negligence on political action. Votes and money folks. Only votes and money folks. The pro-embargo side shows up with theirs. The pro-travel side chooses not to show. Who is likely to win?